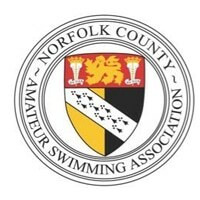 Our latest spotlight on the British Masters swimming community is a Q&A with former Sussex ASA President Anthony Gimson, who was the brains behind the concept of the National Masters Inter County competition. How did you first get involved in swimming? I was very lucky to be brought up in Watford which in the 1940s had the only indoor pool in the whole of Hertfordshire. So, at Primary School, we had swimming lessons. I took to it easily and was swimming by the time I was seven, which was unusual in those days. My first competition was the Primary Schools Gala when I came third in the best style breaststroke! When I went to the grammar school, it had an open-air pool and my first summer I was selected for the school squad which was coached by Bill Juba. Bill was a lovely man; Hertfordshire Schools coach, Watford SC coach, as well as editor of Swimming Times. Needless to say, I joined Watford Swimming Club in 1949 so I suppose that was when I first got involved in swimming. There was very little age group swimming then. You were either a junior, under 16 or senior, so the only competitions I had were within the club and school matches. 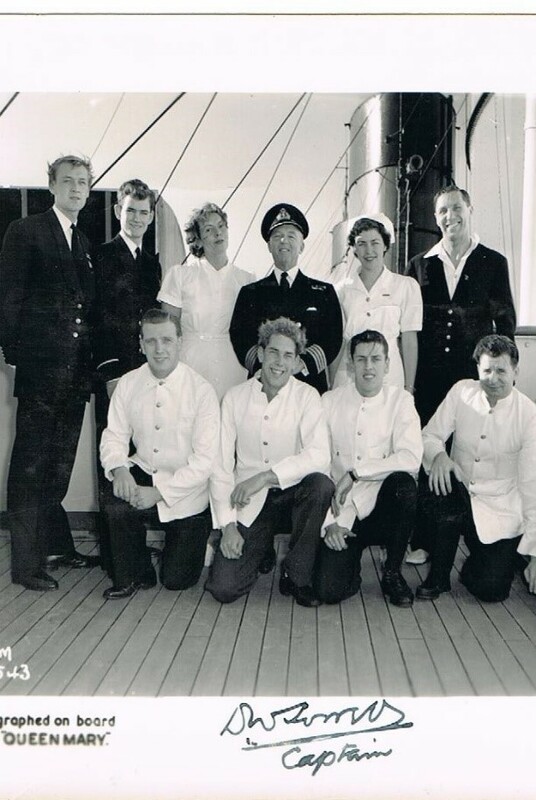 I went away to HMS Conway (Merchant Navy training ship) when I was 14. There were no swimming facilities there other than swimming in the Menai Straits in the summer term but I used to go back to the club during holidays. Then followed six years at sea with Cunard. My first ship was the Queen Mary where I became Champion of the North Atlantic! I used to swim in the First Class pool when the passengers were at dinner and the pool attendant told me that there were annual seamen’s championships decided on times set at the New York YMCA pool. This was a 20-yard long pool on the fifth floor. It was a novel experience going upstairs to a pool but I won the 100 yards freestyle. When I left the sea in 1961, no-one swam competitively in their 20s so I played water polo for the next 20 odd years until I moved to Haywards Heath in 1982. What was the first Masters swimming competition you went to? In late 1982 I saw the results of the National Masters, in particular that of the 45+ freestyle relay, and thought my Watford friends and I could have a go at that. So in October 1983, I entered the Masters Nationals to be held at Nuneaton. In those days I was allowed to enter individual events for Haywards Heath but could compete for Watford in relays. My mates and I were very impressed when we went onto poolside for our race as there were at least three retired internationals swimming for other teams but we saw them off, winning in what was then a British record time. We really thought ourselves the cat’s whiskers! When did Masters swimming first get started in Sussex and who were the main individuals involved at that time? 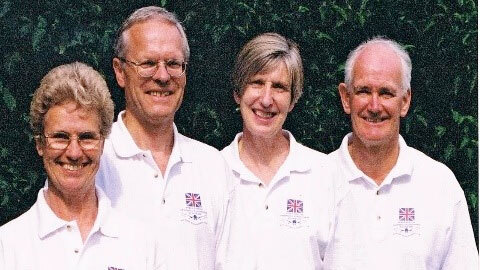 The leading swimming administrators in Sussex in the late 1980’s were Margaret Tuppen, Lis Hartley, and Pat and Richard Wadmore. After the first Southern Counties Inter-County Masters in 1987, I suggested that Sussex introduce a County Masters Competition. The great and the good decided this was worth a go, particularly as through my work I was able to find a sponsor, and Lis, Pat and I worked out details of the first meet which was held in 1988 in what was then Chelsea College Pool, Eastbourne. It all went rather well and has been held almost every year since. How have you seen Masters swimming develop in the county, nationally and internationally over the years? The principal change has been the growth in numbers participating and the extremely high standard of some of the competitors. Until recently, the universal aim was friendly participation with no entry standards except in the European and World Championships where standards were essential but modest so almost all regular swimmers could take part. There probably is no practical alternative but I was sad when I heard that tested entry standards have been introduced for this year’s Swim England Nationals. It caught me by surprise and has stopped me entering at least two events this year because I haven’t swum them for a while. When did the National Inter County Masters competition come into being? I must not overlook Tony Warn in answering this. When I first got involved in Masters, Tony was the ASA Masters Secretary as well as the Southern Counties Masters Secretary. He seemed to do everything. I am sure there were others who made major contributions to the start of Masters in the UK but I don’t know them. 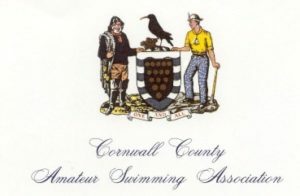 Tony started the Southern Inter County Masters in 1987 and provided the trophy that we now compete for. Interestingly, 1987 is also the year of the first European Masters held in Blackpool which I feel sure Tony was behind. Sadly Tony died of a heart attack aged only 60 in 1997. When the ASA Masters Committee were seeking a project to commemorate the millennium, I suggested the National Inter Counties based on what we did in the South, and persuaded all the other regions that they should participate in 2000. I think of it as my major contribution to English Masters, and I am very proud that the competition has continued virtually unchanged. What would you say to someone who is thinking about doing Masters swimming or restarting Masters swimming? Certainly at my club Mid Sussex Marlins, we encourage any adult to try us provided they can swim sufficiently well not to disrupt sessions. Even then, if the individual can swim okay but is not very fit, we point out that we are not doing it to knock ourselves out, but for pleasure and camaraderie. So if it all gets too much, miss a couple of lengths and get your breath back. Within our 200 members we include all abilities and have sessions every day of the week which can only be done with a lot of volunteer involvement and support. What has been your best memory of Masters swimming? Sorry but I have two which I cannot split! The first is the year 2000 when I was in a relay team which set a World record. We had trained hard (for us) aiming to do the long course record at the World Masters Championships in Munich. We did beat the record but a Japanese team beat us so we ended up with the silver medal. We decided to have a go at the short course record in the Nationals at Sheffield and were delighted to get that. It was only three months later that we found out the same Japanese team had beaten our time literally one day later in Japan so we probably held the record for perhaps 12 hours! But at least we have the certificates to prove it. The event was the 240 – 279 mixed medley relay. It was an interesting team with two reasonably capable male swimmers and with two female Olympians (pictured below). The team comprised of Margaret Wilding (Edwards) who had won bronze in 100m Back in 1956, Chris Jones on breast, Christine Parfect (Gosden) on fly, who was in the GB teams of 1956 and 1960, and me on free. 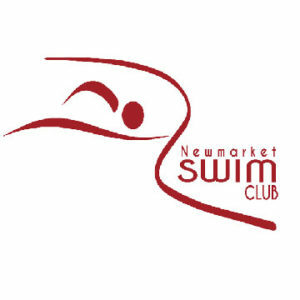 The second memory was selecting and leading the Sussex Masters Inter Counties team to win the Swim South East round at Crawley and the National title in 2006. What are the main benefits you have gained from Masters swimming? It has kept me reasonably fit and sane as well as providing a reason to get up in the morning. 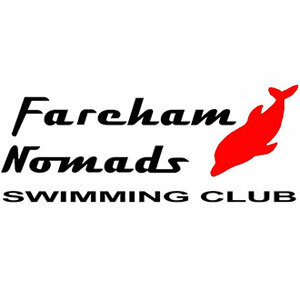 I have always enjoyed swimming for its own sake but the benefits of belonging to a club so that one knows at certain times in the week one goes swimming regardless of the weather and how one feels on the day are immense. It is the cherry on the top that I can compete from time to time. What is your favourite pool to compete in? This has to be Ponds Forge, Sheffield. It is showing a bit of age now but is still in my experience the best designed facility in the country. The water is light and bright, and the ends are not slippery which helps my dodgy turns!